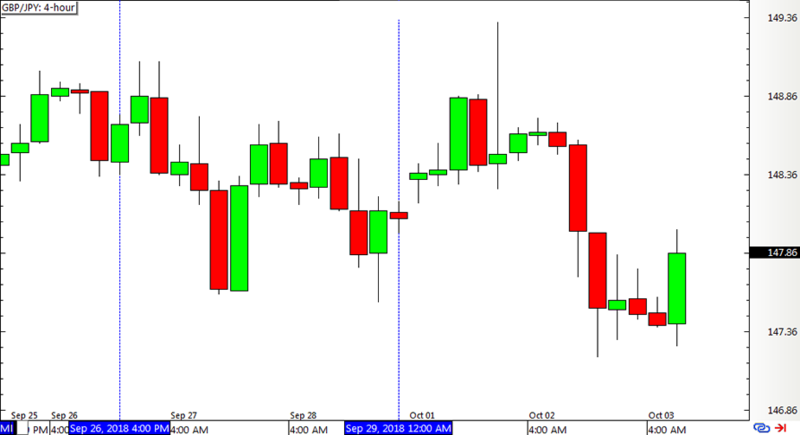 Just rounding up a few more signals on this mechanical strategy before I crunch the numbers for the previous quarter. Take a look! Unfortunately it wound up as a loss, with price getting triggered on a pop higher then losing ground on the dip that followed. 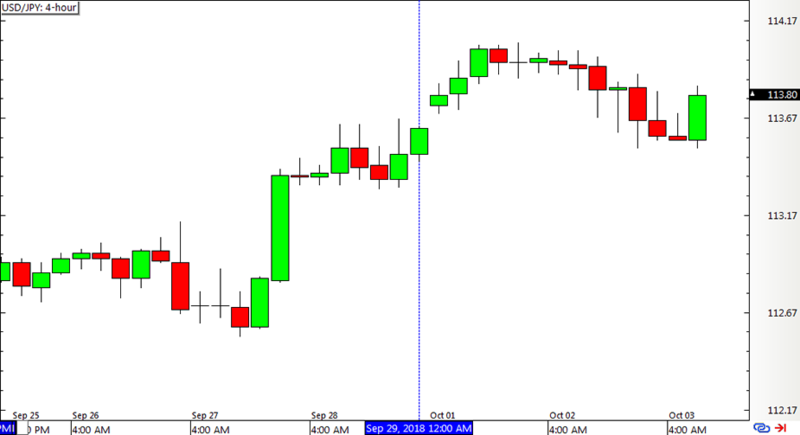 This one snagged a couple of signals, and zooming in to the short-term time frames shows if the entry and exit levels were hit. 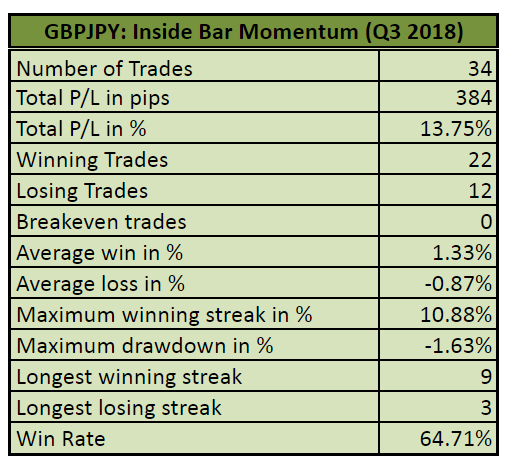 With that, the Inside Bar Momentum Strategy still managed to catch a 12-pip gain for the week on both pairs, and the percentage gain depends on how position sizes were calculated. Ack! Not exactly the best of quarters, huh? This pair caught way fewer winning trades compared to losing ones, yielding a net 1.60% loss for the period even as its average win outpaced its average loss. 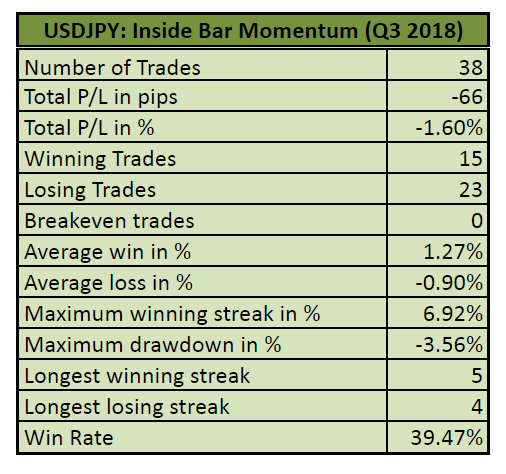 Its maximum winning streak in % was also much larger than the average drawdown, but sadly the sheer amount of losing positions was enough to produce a negative run. This is looking dismal compared to its performance in Q2 when it snagged 16.55% in gains and a pretty decent 52.78% win rate versus this quarter’s 39.47%. Ha! Now that’s much better! This pair had nearly twice as much winning trades than losing ones, and its larger average win vs. average loss also contributed to an impressive 13.75% gain for the quarter. It also scored an awesome nine-trade winning streak, which yielded 10.88% in gains, more than enough to erase its maximum drawdown of 1.63% over three consecutive losses. All in all, its win rate stands at 64.71% for Q3, a few notches higher than the already impressive 62.96% in Q2.